WINTERSVILLE — When a team has a player like Harrison Central’s Kobe Mitchell, it can be hard for any opponent to stop him, or even slow him down. Indian Creek found that out first-hand Friday night, as the Huskies’ sophomore shook off a slow start and early defensive pressure to score half of his team’s points in a 60-42 win. “He’s going to be a very special player,” Harrison Central coach Justin Clifford said. After scoring just four points in the first quarter — all on free throw makes — Mitchell took over. 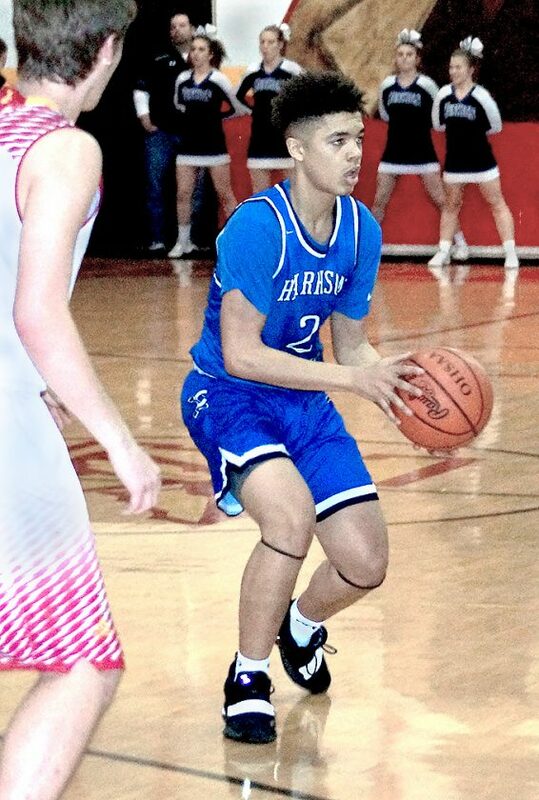 Harrison Central (12-5) was coming off a close, two-point loss to East Liverpool on Tuesday that kept it out of the OVAC tournament field. Clifford was happy with the response from his team. The Redskins (8-11) got off to a slow start but battled back to take a 16-15 lead early in the fourth quarter before Mitchell started to get rolling. Once the second half rolled around, Indian Creek went cold and the Huskies pulled away, outscoring the Redskins 39-17 in the final two quarters. “It was a really competitive first half but, in the second half, they hit a bunch of shots and we didn’t,” Indian Creek coach Joe Dunlevy said. “In the first half, we attacked them. In the beginning of the game, we turned the ball over and got down, but we battled back and got back in the game at halftime. Dunlevy has no doubt why Mitchell is so hard to stop. “He’s a special player, and the reason for that is because he works hard,” he said. “There are a lot of kids as tall as him, as fast as him, but probably not a whole lot of kids in the valley that work as hard as him. Senior Evan Stine scored 13 points and had a team-high four rebounds to back up Mitchell’s performance. Indian Creek was led by 24 points from Michael Allan, while Austin Judson added eight points, five boards and four assists. Both teams’ next games are in the OVAC consolation pool on Tuesday. Harrison Central is home against River. Indian Creek travels to Southern Local. ¯ Harrison Central won the jayvee game, 49-28. Sam Santile led the Huskies with 12 points, while Jayden Irizarry had 10 points to lead Indian Creek. 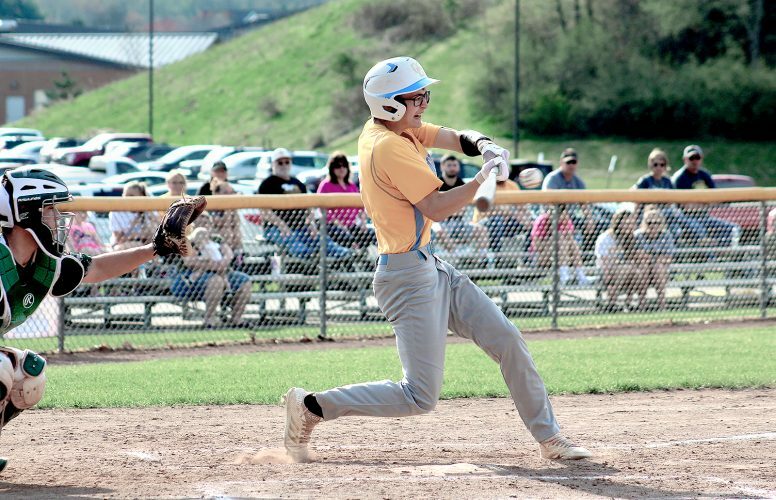 HARRISON CENTRAL (12-5): Mitchell 11 6-8 30; Muckle 2 0-1 5; Dalton 1 1-2 3; Stine 5 2-2 13; Taylor 1 0-0 3; Rogers 0 0-0 0; West 2 0-0 4; Mazeroski 0 0-0 0; Vermillion 0 0-0 0; Santile 0 0-0 0; Capers 1 0-0 2. TOTALS 23 9-13 60. INDIAN CREEK (8-11): Allan 11 2-3 24; Norris 0 1-2 1; Eakle 0 0-0 0; Mamula 2 1-2 5; Judson 3 2-2 8; Kuczykowski 0 0-0 0; McClurg 0 0-0 0; Wright 0 0-0 0; Vandine 3 0-0 6; Hilderbrand 0 0-0 0; Ade 0 0-0 0. TOTALS: 19 6-9 42. 3-POINT GOALS: Harrison Central 5 (Mitchell 2, Muckle, Stine, Taylor); Indian Creek none. ASSISTS: Harrison Central 14 (Muckle 4); Indian Creek 12 (Judson 4). REBOUNDS: Harrison Central 17 (Stine 4, Taylor 4); Indian Creek 24 (Vandine 6). TURNOVERS: Harrison Central 15; Indian Creek 17.